I spent an hour and a half trying to shoo a blue-bottle out of my room last night. No matter how much I tried it to wave it in the direction of the wide open window it easy and breezily flew through earlier, it zig-zagged buzzily in every direction but that one. Every. Single. Direction, but that one. That’s the not-so-great thing about summery weather; it tends to bring out all sorts of unwanted creatures, from flies landing all over your picnic and midges swarming en masse into your hair to gorillas in string vests leering through the safety of their car windows at any woman daring enough to walk past in something warm weather appropriate, and shouting obscenities at them if they deem to ignore their “flattery”. Despite the unwanted attention from pests both 6, 4 and 2 legged I found myself today taking an ever so slightly extended lunch break to soak up some of the old Vitamin D. Reasoning that a happy worker is a good worker I likened myself to the bee flying past, and spent some time watching the striped little fellow go about his business. Unlike other flying insects I have no quarrel with the humble honey-making, flower pollinating bee, and I especially rate its natty uniform. 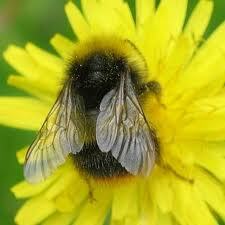 So very summer appropriate, its yellow and black outfit, accessorized by cute translucent wings! 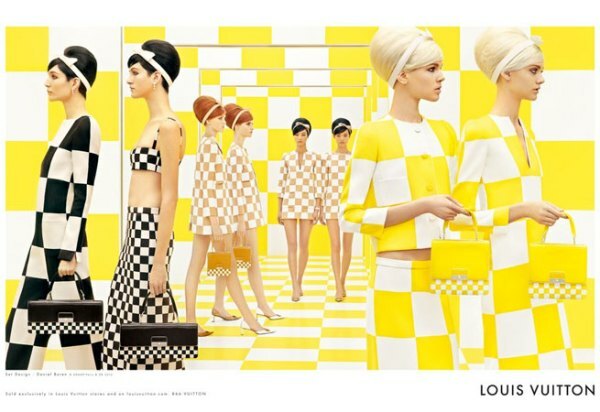 Marc Jacobs got it right with the Louis Vuitton S/S 13 collection, the typical damier checks transformed into yellows, blacks and whites. A bit of green was thrown in too, and see-through patches, but it’s the beehives on top that seal the deal, confirming the fuzzy and functional inspiration. I’ll be emulating the look in the next few days, perhaps with a yellow and black skirt I re-discovered in the back of my wardrobe during my air-traffic control situation; a Breton top (who doesn’t have one of those?) paired with jeans, some yellow accents like jewelry or a belt could reference it nicely too. Stick your hair up in a chignon with a thick hairband and you’ve got it, and – in case of any more unwelcome run-ins – don’t forget to add that all-important sting.